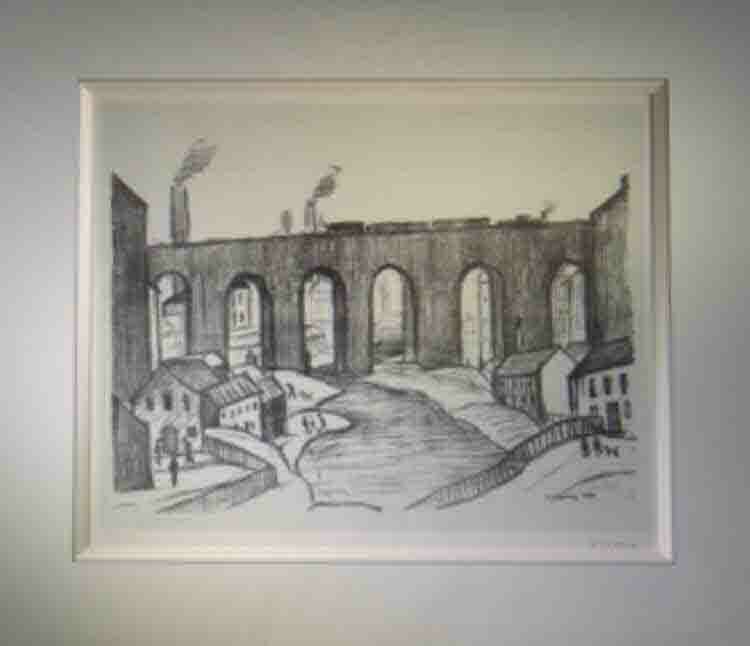 Signed original lithograph edition of 75.
the Viaduct however still remains. Railway viaduct. 1865. 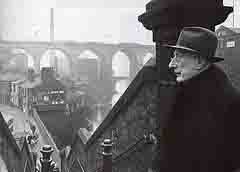 Sturges Meek, engineer, for the Lancashire and Yorkshire Railway. Cast-iron columns support later steel deck, with cast-iron parapet. Doric columns carry the structure, which has plain panelled parapet and lateral I-section steel beams. 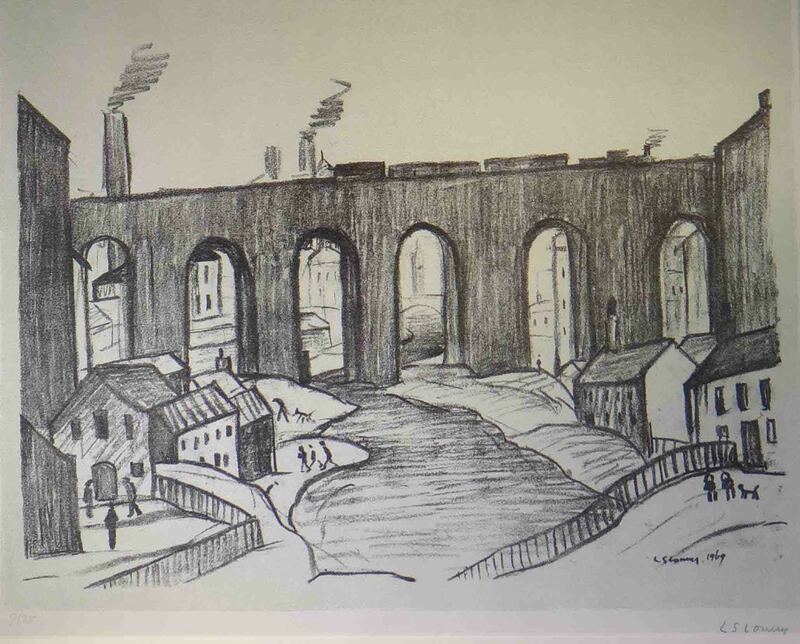 The bridge was built by the Lancashire and Yorkshire Railway, extending its line to Manchester Victoria. (Biddle G and Nock OS: The Railway Heritage of Britain: London: 1983-: 101).